This aviary was established in 2008 in order to provide the public with quality, healthy and affordable Finch pets and products. The aviary also meets all national, state and county laws and regulations pertaining to licensing, housing, husbandry and overall care. My first pair of birds were my two Chestnut Flanked White (CFW) Zebra Finches – Oedipus & Ophelia – one of my current breeding pairs. Their loving and goofy personalities made me fall in love with Finches, and I found myself spending hours just watching them. I have been captivated and surrounded by them ever since. The joy that came from my first pair is what inspired me to start an aviary and upgrade my Finch keeping as well as to challenge myself to provide the best environments for raising Finches. “The White Finch Aviary” name is a result of the passion they instilled in me. Since the aviary started I have been lucky to keep and breed some really spectacular white Finches. I now have pure White as well as many other mutations that are mixed or almost entirely white such as my Fawn Cheeks, Penguins, Phaeo, Florida Fancy, Eumo CFW and others. I’m always experimenting with colors and it definitely shows in the diversity of my flock. The French name “Le Pinson Blanc” was created to honor my Grandmother & Great-Grandmother’s memories. They were the matriarchs and corner stones of our family and we all still miss them very much to this day. They both spoke fluent French and loved animals – especially birds. They would have loved to see TWFA and I would have loved to have been able to give them each their first hand-tame Finches. They cared for many feathered friends throughout their lifetimes, rehabilitating injured wild birds of all ages and being passionate about their rescue. It is probably largely their fault that I grew up with such respect and wonder for birds and anyone that garnishes their respect. It is not an easy feat! 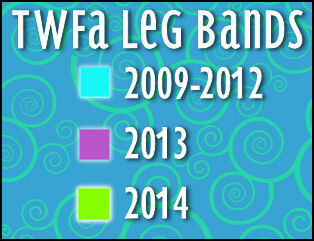 This year you will notice a move away from the LPBA name to the English-speaking and more universal TWFA. This does not mean the name will ever change, it is an effort to support our new dot-com domain and move to a fully hosted and professionally designed website. The LPBA name however will remain the watermark for all photos to serve as a constant reminder of where we came from and the passionate adoration which the aviary is named after. The origin of the TWFA name allows insight into the standards of care which every pair and baby enjoys here. I started breeding by following the direction and years of experience of my aviculturist friends, taking in a pair every now and again, correcting their health and fertility issues, and re-homing them. I found pairs via local clubs, personal contacts, free ads, etc. and each heart-breaking story compelled me to act. At that point though I did not even consider adopting any myself since I already had my Oeddie & Ophelia. Once I started seeing inside multiple-pair aviaries however I was inspired to replicate the prime environments I had seen and to challenge my Finch keeping abilities. I chose to adopt only the best and healthiest pairs bred by hobbyists in their own homes. I traveled long distances at times, going to fairs, shows and meetings and adding to my aviary. Since it’s creation, I’ve been lucky to have bred hundreds of pairs of beautiful and loving Finches. I take the time to properly wean & pair Finches as well as educate adopters to ensure the most symbiotic environment for my aviary offspring. I have also been lucky enough to meet many great people in the bird breeding community and see some of the impressive looking Finches that they have proudly bred, buying as I’ve traveled and adding to my aviary. 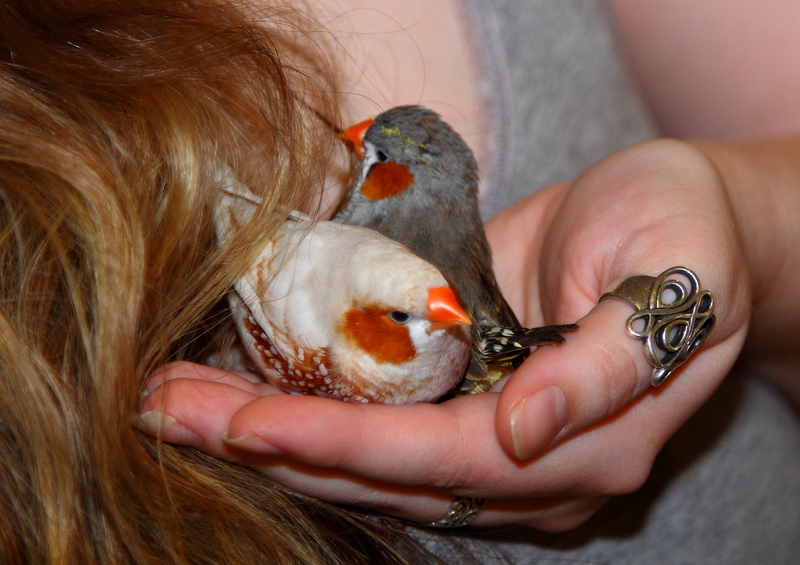 Over the past 5 years I have learned a lot about caring for Finches. There are always new things to learn and new research being published but basic care always remains the same. Every Finch that comes into my aviary is put through the same medical treatment, given the same complete diet, and are encouraged to exercise both inside their flight cages and out. Every aspect of their lives is a controlled simulation of what they would experience in the wild. As a result I have had great success in keeping and breeding them. I’ll be adding more species to the flock as time goes on. During the breeding season, I breed regularly. Things are always changing, so keep coming back to see what’s new. Be sure to email me to sign up for a pair. I operate on a first come, first serve basis. 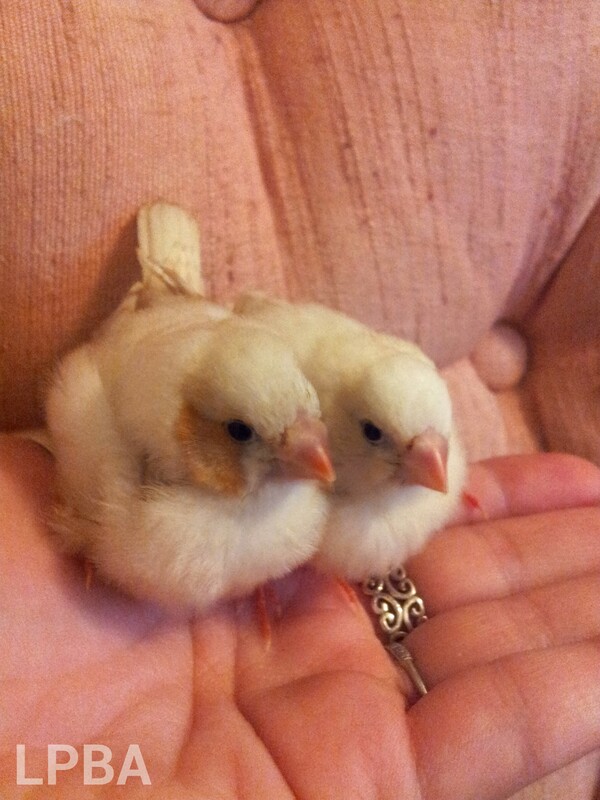 I would really love to have a white zebra finch and black cheeked finch or two white zebra finch. Could you please let me know when you might have them available? I live in Ft. Washington, MD. Hello! Thanks for your inquiry! I have new hatchlings that are almost ready to go to new homes. I’ll post a new update with photos very soon. I have 7 english zebras now, CFW, and fawns moslty. Short of females, so interested in females if you have any. Hello Chris! I do have some Phaeo females and males right now who will be available soon, are you specifically looking for CFW or Fawn or are you open to other colors? I don’t have any English myself because I aim to get that plump healthy shape through diet and good breeding stock instead of breeding in that mutation.